That boastful knight dares to defy you from within your own castle walls. There is a reason this land is under your domain. Remind the fool exactly why you have come to rule, while wisely armored in the Edward Darkened Bracers. 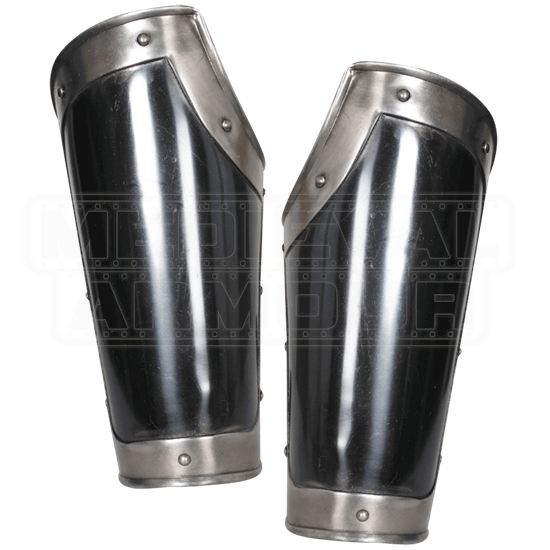 Bright steel edges contrast nicely with the darkened body of these arm guards. Rivets and ridges line the edges, adding a stylish touch. The inner elbow is cutout for flexible movement. 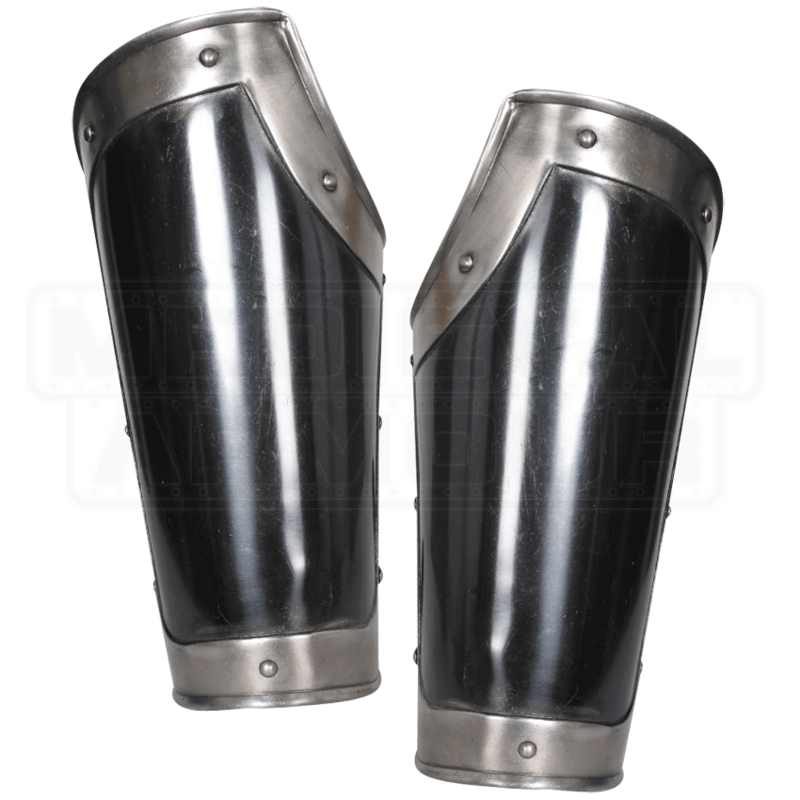 Thanks to the wide diameter, you can comfortably fit these bracers over padding and chainmail. This dark pair matches nicely with the rest of the Edward darkened armour.